In the Floral Boutique at AJ’s you’ll find a wide variety of the world’s best flowers and blooming plants. Daily deliveries ensure that you get fresh, vibrant flowers ranging from the classic to exotic. AJ’s Floral Boutiques bloom with gorgeous arrangements created by our talented designers. Whether you are looking for a stunning arrangement, designing a silk wreath to fit the décor of your home, or planning your wedding, our boutiques are the perfect place to start. Our designers create arrangements just like everything else at AJ’s unique and exquisite. Call any AJ’s Floral Boutique to reserve an appointment with one of our consultants. Join us every Friday night for Floral Happy Hour from 4 to 6pm. Enjoy a different half-off featured flower every week. 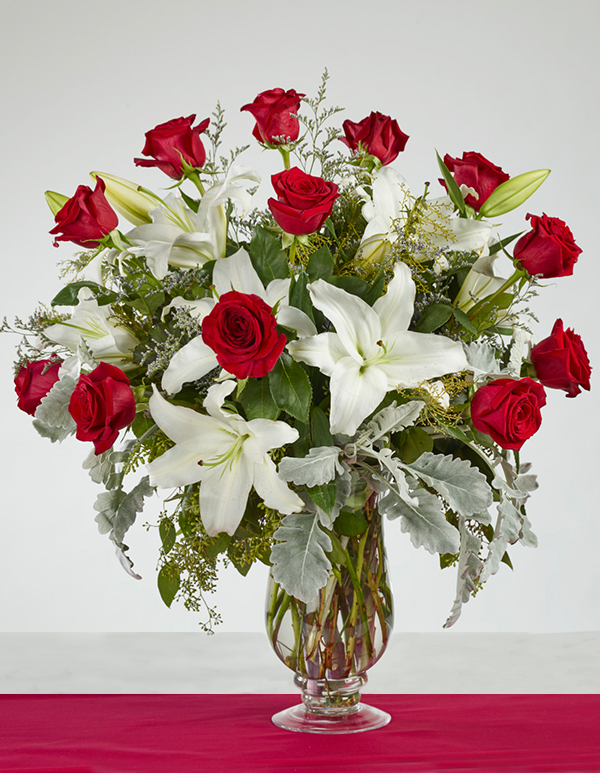 See all of our BEST SELLING floral arrangements. Visit our Floral Boutique for Easter baskets overflowing with Epicurean delights for kids of all ages. If you’d like a custom basket, just call any of our floral departments to place your order. Selection and prices vary by store. AJ’s Gift cards are available in any denomination. 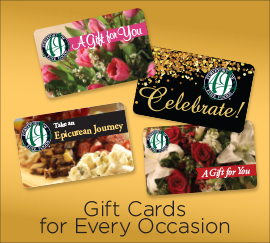 Just visit any AJ’s location to purchase a gift card. Receive a special price for bulk orders of $599 or more gift cards. Just call 1-877-384-4960 to order. AJ’s A La Carte specialty gift section features unique gifts and home décor. In our Floral Boutiques you’ll find not only plants and flowers that tease the senses, there’s also an intriguing selection of gift baskets, perfect for any occasion. We can make a single basket that communicates just the right message for the lucky recipient, or custom-design 100 baskets for your special clients. 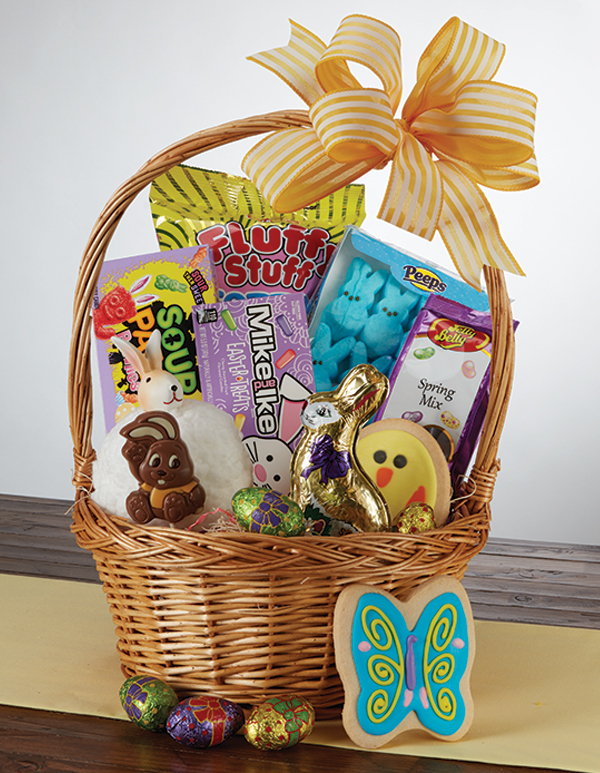 Fill your custom basket with anything in our stores. We have a great selection such as Le Creuset cookware, Riedel glassware, Beautiful linen, professional cooking tools, great gift items such as Root and Illume candles. Beautiful greeting cards and wrapping paper from Papyrus, and our lotions and body items are too numerous to describe. AJ’s delivers locally and worldwide. Just contact your local AJ’s to speak with one of our floral consultants and experience the AJ’s difference. Floral and gift basket delivery fees vary according to location. Delivery Monday – Saturday. *Due to liquor laws we cannot ship baskets containing alcohol.